HARRISBURG, Pa. -- A Pennsylvania high school honors student just months from graduation was actually a 23-year-old Ukrainian national using a false identity after his visa expired, police said Thursday. 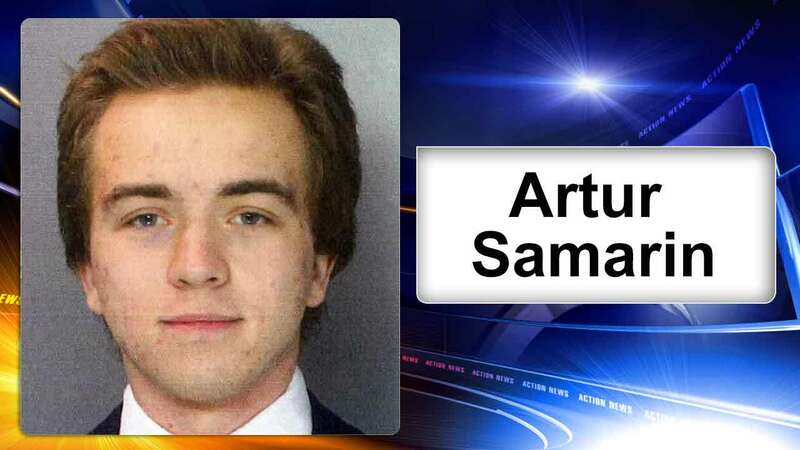 Artur Samarin, who used the alias Asher Potts, was arrested and charged Tuesday in Harrisburg, the capital city, police said. Samarin is accused of masquerading as a Harrisburg High School student who was a member of the National Honor Society. Samarin was actively involved at the school, working with a student advisory group on a food bank, and he was a member of the school's ROTC and Naval Sea Cadet programs. He had a Pennsylvania driver's license in Potts' name when he was arrested, authorities said. Police believe that identity was fabricated and no one's identity was compromised. Sgt. Terry Wealand said Thursday that police got a tip about Samarin about two months ago. Authorities believe he was in the country for about four years, he said. Samarin enrolled at the high school as a freshman and was less than four months from graduation. Wealand said he arrived on a temporary visa for a short stay, and he came to the U.S. under his original name. It wasn't clear if Samarin was in Harrisburg the entire time. He apparently lived with people he befriended, Wealand said. Authorities are investigating whether anyone else conspired with Samarin on creating or maintaining his fake identity. "I would think there would have to be someone who knew," Wealand said. "And if there is, they are going to pay, too." Marcel McCaskill knew Samarin from a seven-week math and science program the two were selected to participate in at Penn State. He and Samarin were in a group together and did a presentation on cosmic rays and detecting radiation in the summer of 2013. "It's totally mind-blowing to me," said McCaskill, a freshman at Wheeling Jesuit University in West Virginia. "Honestly, he was a very respectable guy. He was the perfect role model, someone you would want your son to look up to." He said some other kids in the program would joke that Samarin was a Russian spy, mostly because of his accent, "but nothing was wrong with him from my perspective." A state lawmaker posted a photo on Twitter of her handing Samarin an award in May 2014. Rep. Patty Kim, a Dauphin County Democrat, ended the tweet with "#goingplaces #proud." Online court records don't list an attorney for Samarin, who remained in the Dauphin County jail on Thursday on charges including identity theft and tampering with public records.